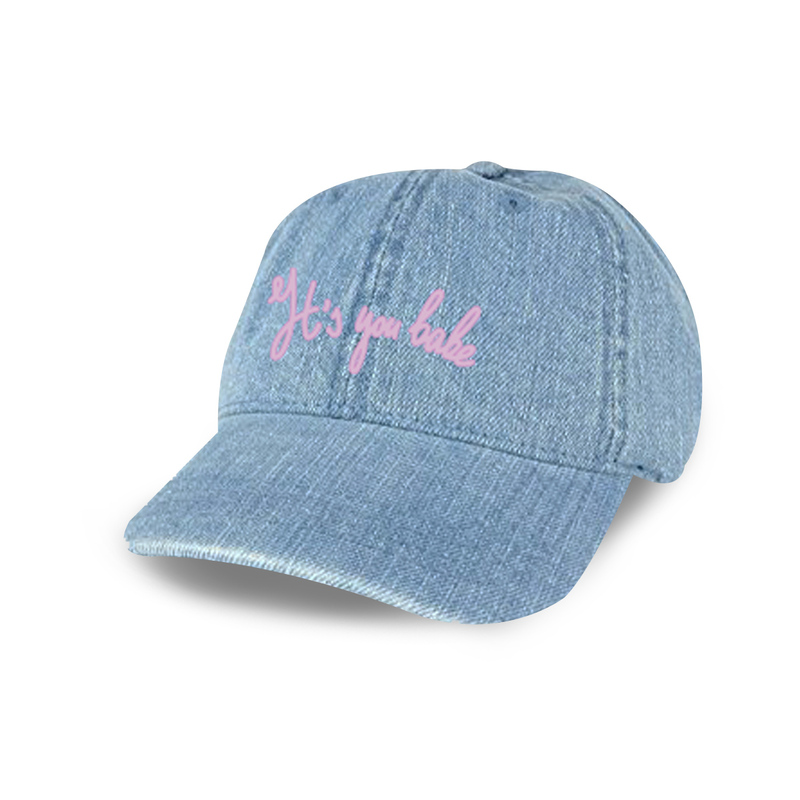 Adjustable denim dad hat featuring "It's You Babe" embroidered on the front. One size fits most. i stan camila she never fails to amaze me ??? Not only is this hat amazing, but CAMILA IS AMAZING! I LOVE HER AND THIS AMAZING ALBUM SHES GIVEN TO US. It speaks volumes, and it continues to impress me day after day. It’s been over a year, and I’m still jamming to each and every song on this album. Camila has my heart, and I love sharing her story. love only ? ?